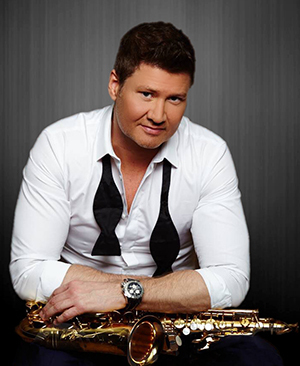 Michael Lington grew up in Copenhagen and decided to move to America and pursue a music career. Since that move, he has recorded multiple albums and is recognized worldwide as one of the premier solo recording artists covering diverse musical genres including: Soul, Jazz, R&B, Funk & Pop. Michael’s new release titled, “Silver Lining,” his 10th solo album, will energize you right from the start. This outstanding production includes some of the finest names in the business. 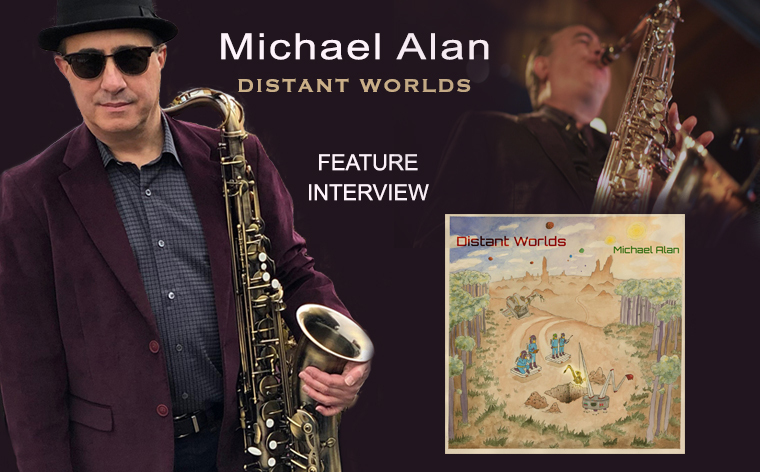 We would like to welcome Michael Lington to JazzMonthly.com. 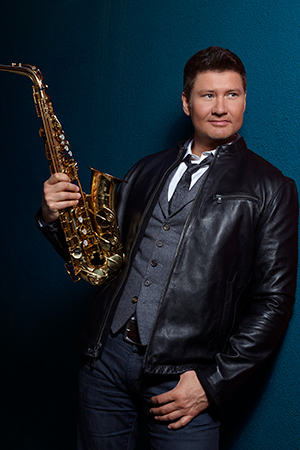 Jazz Monthly: Michael, you grew up in Copenhagen and decided to move to America and pursue a music career. A lot of people dream about doing the same thing but only a select few have the inner strength and drive to actually do this. Tell us about the young Michael Lington. Michael Lington: I have always been a driven person but I think that because my grandfather was an artist and we always hung out I became so interested in making a living in music. 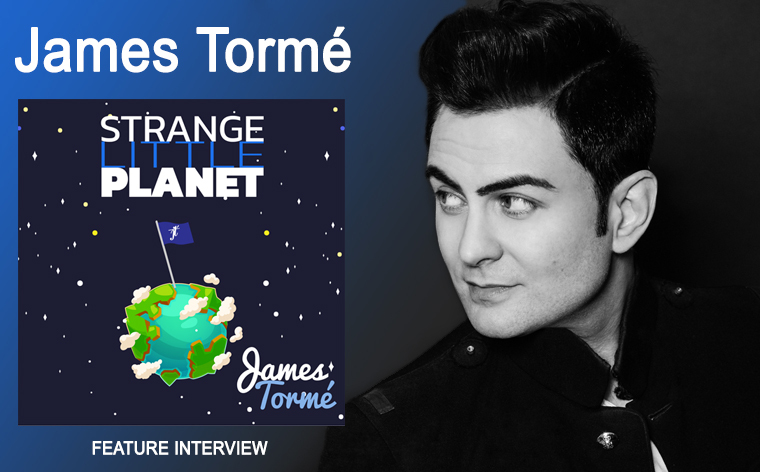 As far as moving to America, not really sure where that came from but for as long as I can remember I always had a love affair with America, maybe it was because of all the music and artists I was listening to came from there and I wanted to be surrounded by that environment. JM: Did you come from a musical home? Which instrument did you start with? How was music introduced to you? Home, School? ML: Yes I came from a very musical home. My grandfather Otto was a famous bandleader and songwriter and my dad was a saxophonist so there was always music around. My first instrument was the piano, but I was terrible. Then came the drums, then the clarinet and finally the sax. I was a part of the Tivoli Boys Guard where I learned music as a child. JM: Have to comment right away on the production of "Silver Lining." What a great sound and excellent production! Do you follow a specific structure or rule when starting a new project? Give us a brief insight on the progression of "Silver Lining"? ML: Thank you. Yes our mission statement is that the music must feel good. The way we ensure that is hiring the best musicians and engineers in the business and we all go in the studio together and record at the same time, sort of the way they did it in the old days. It's a complete collaboration and we all vibe together. JM: The studio recording on this project really captures a strong live sound. Looking for that live performance, did you record a few takes to keep it spontaneous or work on the tracks over and over... fine-tune... until you are satisfied in delivering that perfect take? ML: We usually do 2 takes per song and pick the best one, but no fine tuning, we keep it raw. I started doing it this way with my Soul Appeal album and have done it ever since. It's fun, spontaneous, organic, authentic and I couldn't imagine doing any other way now. JM: Great opening track "City Life." It energizes you right from the start with a very magnetic bass/drum opener... followed by skillfully performed keyboards/guitar... and a standout performance on saxophone. "City Life" really sets the mood and atmosphere on "Silver Lining". How did this dynamic opening track come about? ML: Thank you. We never know what songs will become our favorites or the sequence on the album. We record each song with same focus and attention and let them unfold on their own. When it's all said and done we put them together in an order that best serves the listening experience and the opener usually it a great representation of the overall feel of the album. JM: You covered two songs PEOPLE GET READY and SO VERY HARD TO GO. PEOPLE GET READY was included in the Rock and Roll Hall of Fame 500 Songs that Shaped Rock and Roll; One of the most passionate and touching songs of all time. Some artists would be a bit concerned about covering a song like this but as I listened to your superb arrangement, the passionate William Bell on vocals and your Soulful Saxophone... just heartwarming and inspiring! Tell us about the rehearsal and production sessions? ML: Those 2 songs have both been favorites of mine for a long time. When discussing the material with my producer Barry Eastmond, I suggested we recorded those two covers. We didn't know at the time who is going to sing them but it organically happened during the recording of the album. As far as William Bell, he and I met when I was invited to perform for the Memphis music Hall of Fame and he was being inducted, when I heard his voice I knew he would be right for People Get Ready. Recording the song with him at Royal Studios in Memphis has been one of the highlights of my career. JM: You really took your second cover, Tower of Power's SO VERY HARD TO GO to another level. The performers on this one really preserved the old R&B Funk sensation and yet rejuvenated the sound. What was the collaborative process here? 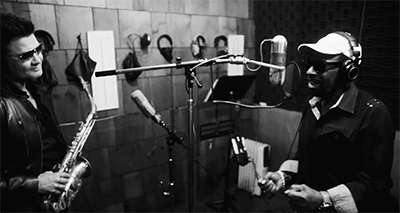 ML: For So Very Hard To Go, we had hired session singer Dorian Holley for the Sunset Sound tracking sessions only as a guide vocal, but his performance was so strong that we decided to keep it for the record. My idea for that song was to treat it as if Al Green had originally recorded that song, so make it more intimate and Memphis soul instead of a big large horn band version. JM: You wrote and co-wrote nine very creative and outstanding tracks on this album... Did you focus just on this album, or were these songs written over a period of time and you waited for the right time to put them all together? ML: Barry Eastmond and I usually write around 25 songs per album, then pick the best 12. We have done it that way for the last three albums. We rewrote 2 songs from earlier projects but the rest are brand new songs that we wrote for Silver Lining. JM: Also an entrepreneur outside of music, you operate your own wine and cigar company. How is it you can write, record and perform at this top level, work multiple businesses and balance this with a personal life? ML: I do it by creating great partnerships, I have amazing people working with me in all my different ventures. You have to make time for all of it particularly the personal life, my career takes so much focus and time but you HAVE to make time for your personal relationships so you can balance your life overall. JM: You had many of your songs played on top Smooth Jazz Stations since you first released your music years ago. How did the transition to Soul come about? Your transition to Soul/R&B is as if you were playing Soul music all your life. Were you also influenced by Soul and Blues music growing up in Copenhagen? ML: Yes I have been very lucky in my career, having my music played on the radio right from the beginning, I have always appreciated that very much and it has allowed me to be able to make a living as an artist. When I grew up in Copenhagen, I was listening to American soul and rhythm & blues music for as long as I can remember. 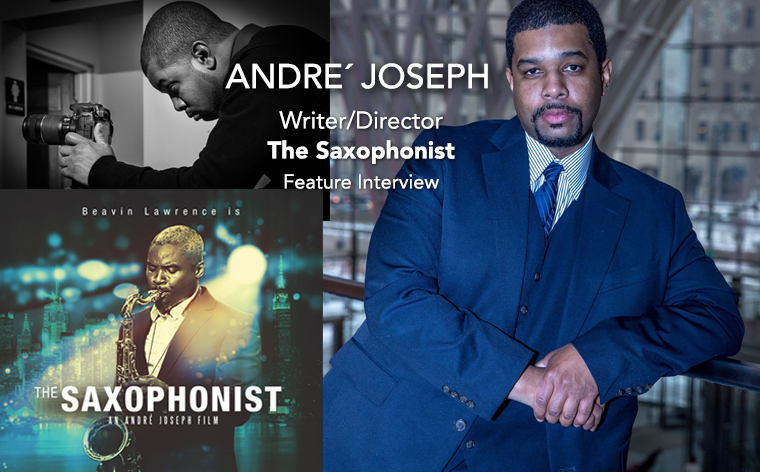 When I transitioned to the saxophone all I was listening to was Memphis soul - artists like Jackie Wilson, Otis Redding, King Curtis, Junior Walker and the All-Stars, Wilson Pickett, David Sanborn etc. I would say my early albums were more on the pop side, but as I grew older and maturing as an artist I wanted to get back to my roots, and started writing and recording more soul based music. 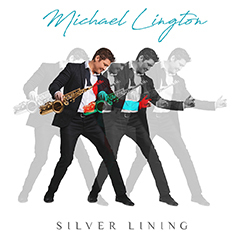 JM: SILVER LINING is a great title and CD Cover...how does it apply to Michael Lington? ML: I love the title Silver Lining. As life is not perfect, actually far from it you must be able to see the silver lining in everything that you do. It's something that I think about in my every day dealings with life.